I was provided with an ARC from the author and BookTasters. 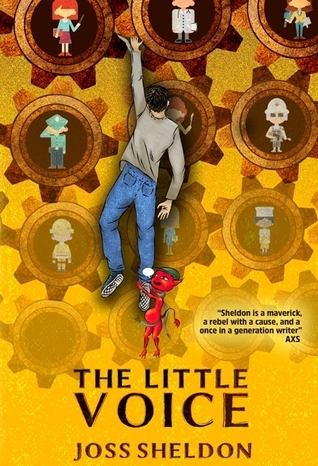 The Little Voice by Joss Sheldon is extremely well-written non-fiction told in a very intriguing storytelling format. It starts with the narrative of a 6year old who wants to be himself but rather is forced to do what the society wants him to do and in that process, he loses himself and becomes someone whom he didn't aspire. Doesn't it bother you some time when you want to do something and you are limited just because the society won't accept, we say " the talks only limitation for us is us" but is it? Sometimes we are just forced to do what we are told even if we want to think otherwise. The talk about the same thing with personal experiences which also helps you empathise and completely grasp the story which is why it is so intriguing and you are able to relate to it so much. Joss, here is brave enough to discuss his stories with brutal honesty and bring out the harsh truth that we face nowadays, I say kudos to him to express himself and come out and write such a novel. This book is deeply captivating and enlightening and is worth the read, not much only 170 or so pages and you get to learn so much and experience so much. A very heart warming and satisfying book. A must have. Sign into Goodreads to see if any of your friends have read The Little Voice. 56.0% "I AM SURPRISED BY THE HONESTY OF THE AUTHOR"